Lights on: Here comes LEDCity! LEDCity produces lighting tubes which, in contrast to conventional tubes, are equipped with an intelligent control system and therefore only light up if light is actually needed. The aim is to reduce energy consumption in the public lighting sector by an average of 12%, thus contributing to sustainable and efficient development. Pilot projects with their partner, ewz, have shown that the use of automated LEDCity lighting tubes in pedestrian tunnels can save 89% in electricity. The intelligent lighting tubes also have a nice side effect: The colored automated fluorescent tubes sold by LEDCity can turn dark corners into beautiful spaces and allow public places, buildings, and entire cities to shine brightly even at night. Just last February, LEDCity received a second cash injection from the Federal Office of Energy. They are very pleased with financial support of nearly a quarter of a million Swiss francs so far. This is a good basis for the future success of LEDCity. Read the short interview below to find out how the founders came up with their idea, how they envisage the future, and why people should invest in their startup. What is your background? How did you come up with the idea? The ecological footprint of our population is far too large. What could be better for a business than to preserve the environment and save money at the same time – without sacrificing comfort? As energy and environmental engineering students, it was important to us to offer other companies a simple, efficient solution. What do you want your project to achieve? What motivates you? We want to achieve something positive without losing sight of the economic idea. Do you work full-time or part-time to realize your idea? How do you deal with the workload? We think about our venture day and night. 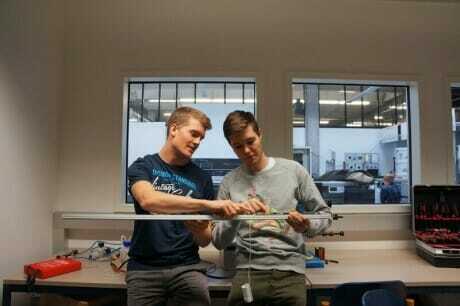 After finishing our studies, we want to work on it full-time at Technopark Winterthur. RUNWAY has provided us with the best possible conditions. We want to work internationally, offering solutions that are innovative and simple but at the same time highly technological. Why would anyone invest in your startup? 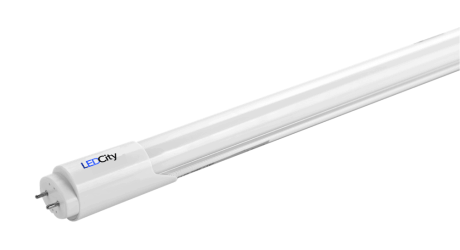 To date, LEDCity has been the only supplier of lighting tubes with an integrated control system which cover the need of customers for a plug and play solution. The energy saving potential compared to conventional static illumination is above 80%. Since setting up our business, we have been in contact with potential major customers. All negotiations have been positive, so the prototype can now be moved into series production, and we will soon be able to meet the initial demand. More information and news can be found on www.ledcity.ch. The team can be contacted at www.ledcity.ch/kontakt.